Home » Collection » Miss S.R. Sarah Greenough, “Alfred Stieglitz/Miss S.R./1904, printed 1929/1934,” Alfred Stieglitz Key Set, NGA Online Editions, https://purl.org/nga/collection/artobject/35428 (accessed April 26, 2019). This print bears the same estate number as Key Set number 298, but is not made from the same negative. Bry, Doris. Exhibition of Photographs by Alfred Stieglitz. Exh. cat. National Gallery of Art, Washington, 1958: 20. Greenough, Sarah. 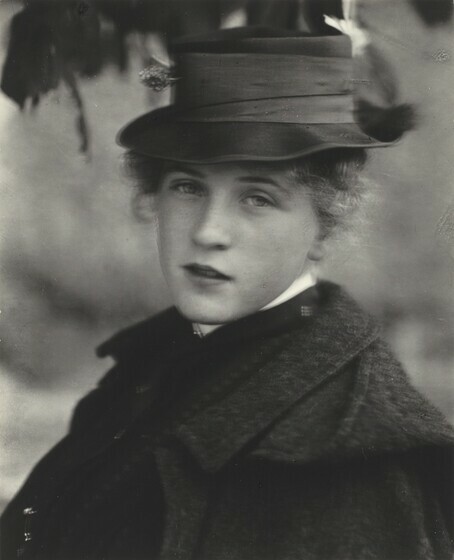 Alfred Stieglitz: The Key Set: The Alfred Stieglitz Collection of Photographs. Washington, 2002: vol. 1, cat. 301.